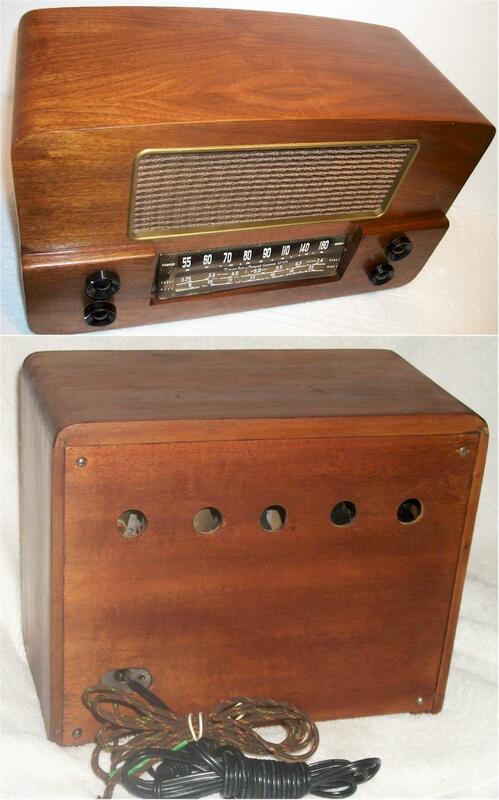 This very nice looking table radio with a solid handsome wood case is in excellent condition with a good high polished finish. 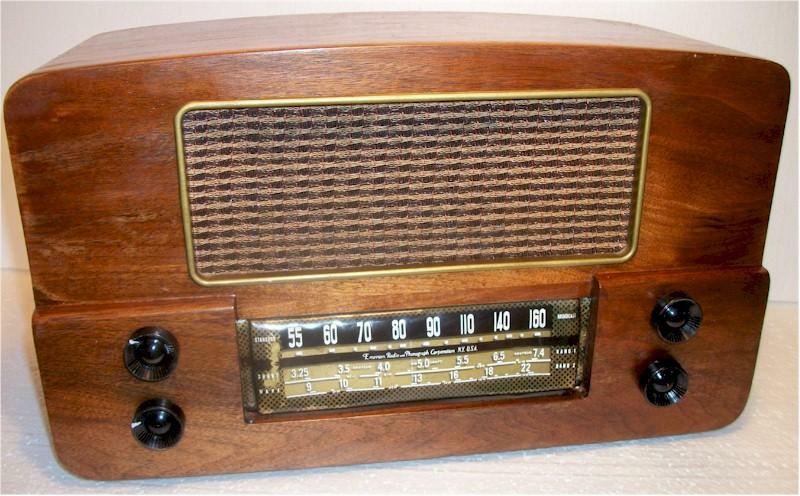 I have gone through the electronics and replaced the old worn parts with new longer lasting ones and this radio is good to use for your every day radio listening for a long time. You are visitor number 3,079 to this page.